The Orion nebula. Stack of 20 x 1s, 20 x 2s and 20 x 5s exposures, dark frame corrected. 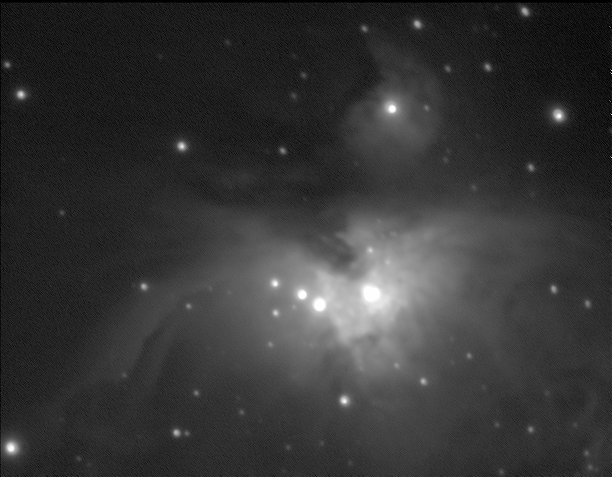 The images were captured by a DMK21AU04 camera at the prime focus of an 80mm, f/5.5, ED refractor, mounted on an iOptron Cube Pro, AZ, GOTO mount, using Nicola's AstroDMx Capture for Linux. The final image was processed in the Gimp 2.9. At the Stargazing event at the National Botanic Garden for Wales at the weekend, Swansea's youngest astronomer was there keeping her parent's company while they exhibited telescopes and provided relevant children's activities. Megan was born on June 29th this summer and has become a celebrity featured in a number of newspapers, social media and even TV. 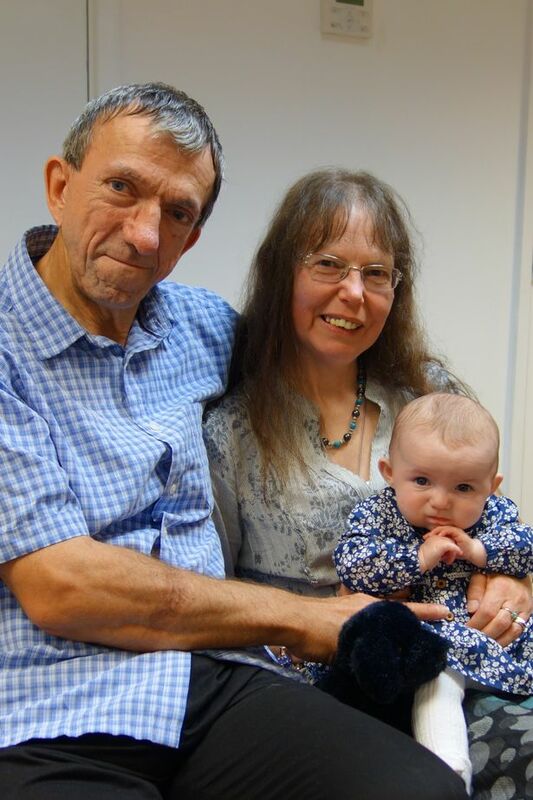 The Swansea Astronomical Society offer Alison and Phillip our warmest congratulations and we look forward to the day when she is looking through a telescope at the night sky. 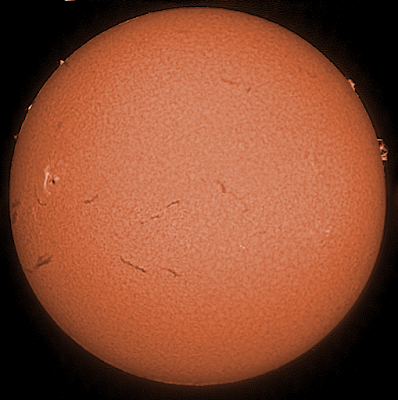 The weather and numbers were disappointing but I think we made up for it in terms of quality - both the Plants in Space event during the afternoon and our Star Party in the evening. Anne and Jim, Phil, Alison and Megan, Andrew, Alistair, Gaynor and Howard all turned up in the afternoon ready for any breaks in the clouds and stayed throughout the evening. Splendid displays and lots of scopes and magazines. Phil and Alison's activities for children went down really well. We were able to help a couple of people with their scopes and Prof Iain Donnison's Plants in Space talk also went very well with lots of questions at the end. We had put up Stellarium on the screen beforehand and showed people what the sky might look like if it wasn't cloudy. We used some of the my scope settings to show what Andromeda and other objects might look like. Phil also showed people Sky Safari. The arts and crafts was an experiment to provide the younger visitors with something more to their level. It seems to have gone down well with them and their parents, especially as the weather did not allow any outside viewing. We will provide this again at the next star party to see if it's worth continuing.